The $100-million Obama Traveling Show touched down in Senegal. All heady from news of the activist side of the Supreme Court further weakening the U.S. Constitution, Barack Obama could not contain his exuberance over Adam and Steve getting closer to being able to book their wedding reception immediately following the more traditional nuptials of Adam and Eve. 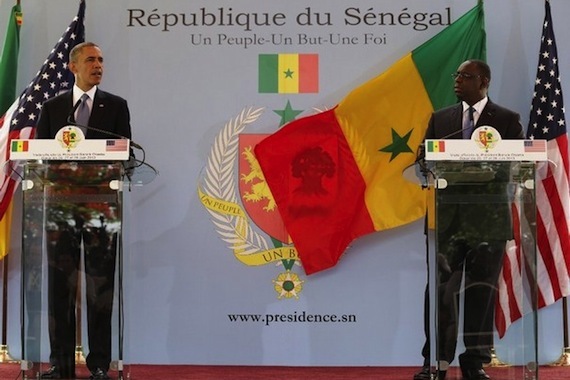 Not happy with “fundamentally transforming” the once-great nation called the United States of America, in Senegal, where homosexuality is outlawed, Barack Obama felt compelled to talk down the established laws and leadership of the African nations hosting him. He called for homosexuals to have equal rights in countries where gays are usually imprisoned or, worse yet, decapitated. 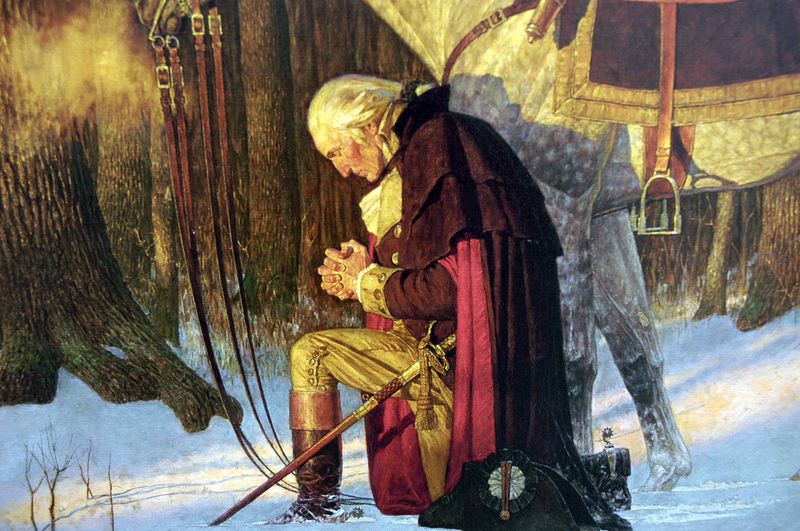 The stunning thing about Barack Obama’s gall is that his tolerance for anyone disagreeing with him is less than zero. 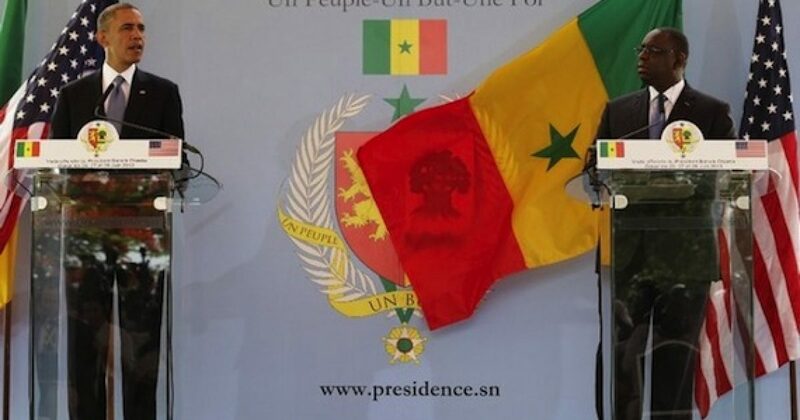 Yet he’s arrogant enough to disrespect Senegalese President Macky Sall and challenge Senegal’s stand on social issues. What if Vladimir Putin swam over from Russia to the U.S. to appeal to evangelicals by insisting that Christians should not be forced to finance insurance policies that cover birth control and abortion?